Public approval of a book is indicated by its sale. A second edition of this having been exhausted, my publishers deem it advisable to issue a third edition revised to date. In assenting, I have had to examine it thoroughly in order to see whether the work required correction, and, if so, to what extent. After careful perusal I find no reason to modify any sentence, withdraw any expression, or correct any statement of fact in its pages. Much has happened since it was written in 1890, the proofs finally revised in January 1891, but in all respects my views are unchanged 3 nor have the last ten years Shown cause for any abandon ment of the opinions then held. My conclusions have proved sound in all instances, even where I ventured to predict. I have therefore left the text untouched except for a few verbal emendations, and the restoration of two pages (soa and 595) which were unaccountably dropped out in going through the press. All that I desire to add has been compressed into a Supplementary Chapter, in which the several controversial points are dealt with, and statistics are brought up to date. The book was written in the heat of controversies to which illusion is made, the somewhat severe criticisms being justified by the then facts and circumstances. If they now appear to be harsh, it is because the policy then denounced has been abandoned, or so modified as to be no longer open to the condemnation then pronounced. Rise and Progress Of Combinations of Workmen. Trade Unionism: Its Origin, Development, and Progress. The “Old Trade Unionism.”—Part I. The “Old Trade Unionism.”—Part II. Provident Benefits and Strike Pay. 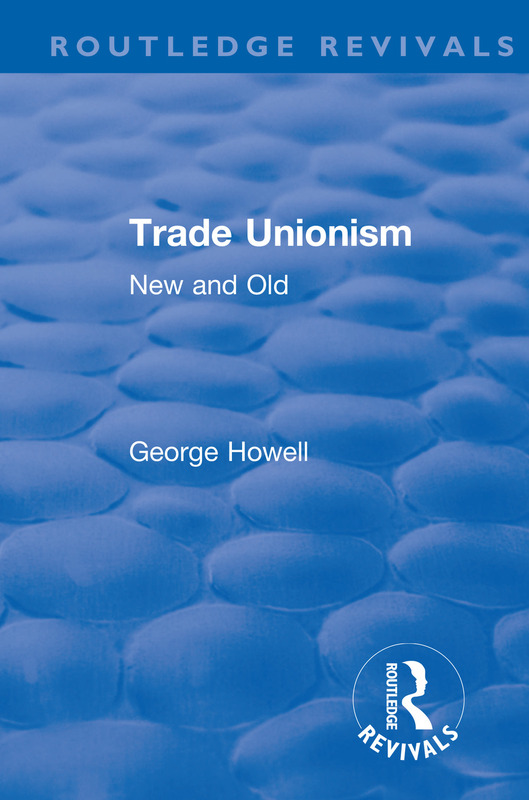 The “New Trade Unionism.”—Part II. State Aid, State Regulation, and State Control. Work of Trade Union and Progress of Labour, 1890 to 1900.